But fortunately that doesn't mean you have to always go without. Making a pizza at home with healthy plant foods will give you the comfort and experience of pizza, without the strain on your liver and other vital organs. Not to mention your energy and waistline, which would only inhibit your healing process more. This recipe is perfect to enjoy with friends or family, and pairs beautifully with a a big fresh salad. 2. Bring large skillet to medium heat, add 1 Tbs olive oil, onions, peppers, garlic, dried herbs, salt & pepper & stir. Cook until soft 10-15 minutes. The antioxidant strength of cinnamon is astounding. Its antioxidant might is more powerful than that of all other foods, fruits and vegetables included. Cinnamon can offer wonderful assistance if you are suffering from nausea, vomiting, diarrhea, indigestion, or flatulence. It can also come to your aid if you are battling a flu. Not only can cinnamon help ward off the flu, but it can reduce its length and help wipe out congestion and mucus from the system as well. Throw a dash of this spice in your tea, try it in a smoothie, or sprinkle it atop your favorite treat or meal and know that you are receiving a number of benefits from a spice that’s been celebrated as a medicinal powerhouse since antiquity. Raisins can easily be ignored or forgotten, but they actually offer wonderful health benefits and in fact offer greater nutritional might than the goji berry which is touted as a superfood. Raisins can vary in size and color depending on which type of grape is used. Grapes have a lengthy list of health benefits and can be particularly beneficial when it comes to battling The Unforgiving Four. They possess strong antiviral properties and can help in the removal of radiation from the body. They also work to remove DDT and toxic heavy metals from the liver thanks to the collaborative efforts of their amino acids and anthocyanins. The optional ingredients offer numerous health benefits as well. During the fall in Maine, Native Americans used to harvest an abundance of wild blueberries and dry what they gathered so that they could continue to receive the nourishment of these sun-dried berries during the winter months. If you are looking to cleanse your liver, start to bring cranberries into your meals and snacks, this powerful berry is a particularly wonderful liver cleanser. Not only will a sprinkle of almonds or walnuts add a nice crunch to this dish, but they can support your health as well. The walnut helps shield cells from the damaging effects of free radicals thanks to the high level of vitamin E it contains. Almonds can support the body by helping to strengthen both nerves and bones. Learn much more about the physical, emotional, and spiritual properties of these foods and more in my book Life-Changing Foods. 1. Place the bananas, apple, and cinnamon in a food processor and pulse until chunky and creamy. 2. Transfer the mixture to a bowl and top with raisins, cinnamon and/or chopped apples. You can also add fresh berries, chopped pear, or any other fruit of choice. Guacamole is usually one of first foods to disappear at a party, and for good reason - it's delicious! But unlike many of the other tasty foods typically eaten at holiday parties, homemade guacamole can also be a truly healthy option. In fact, the base ingredients of most guacamole recipes, like avocado, cilantro, garlic, and lemon or lime, are exceptional healing foods. The guacamole recipe I am sharing with you today takes these wonderful base ingredients and adds even more nutrients and healing properties with the addition of celery, tomato, scallions and optional romaine leaves for dipping. 1. Mix all the ingredients except the tomato and romaine together in a bowl. 2. Add the chopped tomato and fold through gently. 3. Serve the guacamole on romaine lettuce leaves, or as a dip with vegetable crudités. Enjoy! One of the most delicious parts of summer is the abundance of heirloom tomatoes that are available at that time of year. If you've never had an heirloom tomato, you're in for a real treat. These nutrient-rich tomatoes have a wonderful sweet and salty flavor, and make an excellent addition to any meal or snack. In today's recipe I share a beautifully simple way to enjoy them that lets their flavor shine. Heirloom tomatoes are are rich in vitamins C, K, A, and B-complex, as well as potassium, chromium, biotin, and beta carotene. This amazing array of nutrition makes heirloom tomatoes excellent for helping to nourish the adrenal glands, reduce stress damage, build the immune system, lower blood pressure, protect against skin damage, improve cardiovascular health, and strengthen bones. Heirloom tomatoes are also an excellent source of lycopene, a super-antioxidant, which is known to help prevent breast, pancreatic, intestinal, bladder, cervical, colorectal, lung, skin, endometrial, and prostate cancers. Heirloom tomatoes are also known to aid in the digestion of dense proteins, assist in dissolving gallstones, and purify the blood making them highly beneficial for your digestive tract and lymphatic system. During the summer, heirloom tomatoes can be found abundantly at your local farmers markets, some grocery stores, or grown in your garden. Have fun tasting all the different varieties and enjoying each unique and delicious flavor profile. The basil in this dish not only adds a burst of flavor that pairs wonderfully with the heirloom tomatoes, but it offers its unique health benefits as well. The magnesium found in basil can help reduce the chance of experiencing irregular heart rhythms and spasms, making this herb a great option for helping support cardiovascular health. The magnesium also works to relax muscles and blood vessels. If you are suffering from a bacterial or viral-related health issue, the powerful antibacterial and antiviral properties of basil can provide fantastic assistance. If you are suffering from mono, shingles, or intestinal parasites, try regularly incorporating basil into your meals. This gloriously simple and fresh dish is the perfect lunch or dinner accompaniment to celebrate and enjoy in summer's bounty. It lets the wonderful flavor of the heirloom tomatoes stand out with just a few extra flavor accents to bring it all together. Thickly slice the heirloom tomatoes and arrange on a plate. Gently rip some basil leaves and place on top. Drizzle with olive oil and sprinkle a little sea salt and fresh cracked pepper, if desired. This wonderfully easy recipe will be a hit with all your family and friends, and not just the kids. Who doesn't love a sweet, refreshing and creamy pop in the summer? With just three easy to find ingredients, this recipe can be made in a matter of minutes. Freeze overnight to enjoy anytime you please or in the morning so you have a delicious, cooling pop to enjoy on summer nights. Some people avoid bananas because of their sugar content, but the sugar found in ripe bananas actually offers a number of benefits. Manganese and selenium are just some of the trace minerals that are connected to the sugar you’ll be consuming when you peel open a banana. Potassium, which helps support neurotransmitter functioning, as well as other minerals linked to the sugar in bananas are abundant in this sweet and nourishing fruit. Bring in this antiviral food whenever you get the chance. It can help support those fighting numerous conditions and symptoms including human immunodeficiency virus (HIV), shingles, and Epstein-Barr. The strawberry could be described as a superfood thanks to all the amazing benefits it can offer you physically, emotionally, and spiritually. If you suffer from age-related macular degeneration or other vision issues, regularly incorporating strawberries into your diet could be helpful. Looking to improve your cardiovascular health, lower your cholesterol, or stave off heart disease or strokes? The ellagic acid and flavonoids found in these sweet, red berries can help! Strawberries, like certain other berries, aid in preventing organ damage that can result from an overabundance of adrenaline in the system. Unseen compounds found in these berries assist this. In this fast-paced, technological age we live in, many people regularly face elevated adrenaline levels, and berries are a perfect way to begin supporting this all too common issue. You can make this recipe with orange juice or pineapple juice, or you can use a mix of both. Whether it’s driving back a virus, working to make toxic heavy metals inactive, or helping shield the body from the harmful effects of radiation, the glutathione, flavonoids, and limonoids found in oranges can help. Oranges, once recognized as miracle fruits deserve to return to that place of esteem and be rightfully celebrated for the treasure trove of health benefits they offer. Freshly made juice will always contain the highest amount of nutrients, but bottled juice can be used if needed. In combination with the incredible amount of nutrients and healing properties in bananas and strawberries, this is a winning recipe for your health. These pops are bound to go fast, so make as many batches as you like at once. Perfect to enjoy any time of day! Blend all the ingredients together until smooth. Pour into popsicle molds and add possible sticks & lids. Freeze overnight. Eat & Enjoy! It's becoming increasingly common to see kale salads in cafes and restaurants, and there are countless recipes online. But not all kale salads are made equal. Some are very healthy, while others contain ingredients that detract from your health and energy, despite being accompanied by kale and other nutritious vegetables. 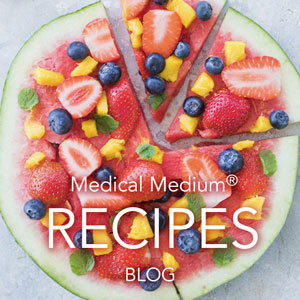 The recipe I'm sharing with you today is as healthy as it is tasty, and there are no suspicious ingredients anywhere in sight. Making your own salads and other meals at home is always the best way to ensure that you know exactly what you're eating, and how you'll feel afterwards. This recipe is perfect for lunch, dinner or even a snack to share. It is also great the next day as the flavors and juices marinate into the kale and soften it further. Cucumbers are a fantastic addition to any salad. Do you struggle with staying hydrated throughout the day? Bringing cucumbers or cucumber juice into your diet on a daily basis can be a simple way to help fight dehydration. The rich hydration cucumbers provide the body with can help keep you looking and feeling more youthful than you otherwise might. Talafinns, coenzymes in cucumbers that I brought to light that medical research has yet to identify, alongside already recognized enzymes, assist the body in digesting proteins. One reason this is valuable is because it aids your body in deriving the full benefits from the foods you consume. Celery adds crunch and natural, healthy sodium to a salad. If you struggle with gut health issues, celery is a fantastic food to start incorporating in your daily eats. Celery helps to bring alkalinity to the gut partially due to the abundance of bioactive sodium it contains. Another reason you want to make celery a regular part of your meals and snacks is because of its incredible cofactor micro trace mineral salts that, alongside the regular sodium found in celery, efficiently work together in a supportive way to free the gut and other parts of the body of toxic acids and to increase your pH. The scallion will provide you with similar benefits to those you would receive from eating other onions, like red onion, yellow onion, leeks, chives, shallots, and other alliums. Have you ever experienced digestive issues after eating an onion? In this instance, it is not likely that the onion caused the discomfort. Instead, it may be the result of die-off from harmful bacteria that the onion helped to destroy in the digestive tract. If you or a loved one suffer from SIBO, try making onions a more significant part of your diet. Their powerful abilities to help suppress the overgrowth of bacteria can be a wonderfully healing support for SIBO sufferers. If you prefer another onion to scallions, feel free to use whichever you enjoy most in this recipe. Kale is an incredibly powerful leafy green. Not only does kale contain numerous minerals and vitamins including vitamins A, C, E, K, and B-complex, but it also can provide you with chlorophyll, amino acids, and omega-3 fatty acids. If you think you may have a stagnant or sluggish liver, kale and other vegetables that fall within the Brassica family may be able to help! These veggies can offer support to a stagnant liver, or other organ, by providing gentle stimulation. There are a number of kale varieties with various textures and tastes, including common kale and lacinato kale (also referred to as dinosaur kale), so try out the different kinds and see which one you like best! Did you know that the food that closest resembles breast milk in nutritional composition is the deliciously creamy avocado? When you enjoy an avocado, know that you are not only nourishing yourself on a physical level, but you are also providing your spiritual side with the affection and tender care a mother might offer her child. If you're looking for a way to keep your skin looking youthful and fresh, bring avocado into your diet as well. Avocado can help alleviate dryness, reduce under-eye circles, and can contribute to beautifully glowing skin. They also taste amazing in salads! If you haven’t gotten much sunshine lately or are just feeling lonesome, try including an abundance of oranges in your diet and see if this helps shift your emotional state and bring a newfound warmth into your life. This is one of the emotional gifts oranges can offer you. Oranges contain a unique type of bioactive calcium that the body immediately takes in and can effectively use in a variety of healing ways. The glutathione, flavonoids, and limonoids found in this citrus fruit are wonderful at battling components of The Unforgiving Four including radiation, viruses, and toxic heavy metals. To learn more about The Unforgiving Four, read a detailed description in my book, Life-Changing Foods. Red cabbage is loaded with a number of life-enhancing vitamins and minerals including vitamins C, K and B-complex as well as calcium, magnesium, potassium, iron, and iodine. Furthermore, the anti-cancer, anti-viral, and anti-inflammatory qualities of the anthocyanin polyphenols, antioxidants that are abundant in red cabbage, make this vegetable even more of a powerhouse choice for someone seeking health and healing. Like onions, red cabbage can support gut health. One way it does this is by working in the digestive tract to reduce unproductive bacteria while encouraging the development of beneficial bacteria. This vegetable not only offers a number of healing benefits to this dish, but brings a beautiful purple pop of color to it as well! To learn more about these foods and their physical, emotional and spiritual healing properties, read my book Life-Changing Foods. 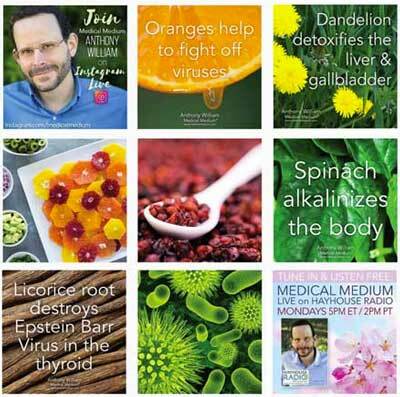 I share 50 of the top healing foods and reveal unknown and undiscovered information on each that can bring life-changing benefits to your health. Place all the ingredients in a bowl, and mix together and top with shredded red cabbage and chopped scallions. Berry delight is a perfect nutrient-rich breakfast, and will give you an energizing and uplifting start to your day. You can also enjoy this recipe as a snack, dessert, or anytime. For something different and to get the benefit of the essential mineral salts we need, try adding in some fresh leafy greens like spinach, butter lettuce, or mâche to turn it into a vibrant salad for lunch or dinner. This recipe couldn't be any easier to put together. The ingredients can easily be found at most supermarkets and it can be prepared in just a few minutes. Keep reading to learn just some of the many health benefits of the foods that make up this sweet treat. Restore the body in a number of ways with the antioxidant-packed strawberry. Not only is this juicy, red fruit loaded with vitamins A, B-complex and E, but it contains zinc, iron, manganese, and other essential minerals. Their rich vitamin C content can help strengthen your immune system by protecting you from any flu or cold that may be going around your home or workplace. If you are suffering with lupus, Hashimoto’s thyroiditis, COPD or another autoimmune disorder, the anti-inflammatory effects of the rich phenol content in strawberries can offer fantastic support. The blueberry is a popular berry for its delicious taste and incredible healing properties, many of which have yet to be discovered. Antioxidants, vitamins, and minerals abound in this tiny, powerful fruit. If you’re looking to improve your cognitive abilities or offer your circulatory system greater support, making blueberries a regular part of your diet can be very helpful. The larger cultivated blueberry offers some wonderful health benefits, but the smaller wild blueberry exceeds it and all other foods in its healing might. For this recipe, feel free to use cultivated blueberries, wild blueberries, or a delicious mix of both. The kiwi fruit doesn’t look like much from the outside, but once you slice one open you’ll see the stunning interior. It may call to mind an image of outer space, and for good reason. As I share in my book Life-Changing Foods, as each kiwi matures on the vine it is imbued with an image of the vast creation around us. As you consume the fruit, shift your attention towards its internal likeness to the beautiful galactic mysteries around us. This meditation can help you separate yourself from everyday irritations and inconveniences that work to keep you in a place of stuck isolation. The banana is filled with essential trace minerals and macro minerals. The potassium found in a banana is incredible for helping to support neurotransmitter function. A rich creation of electrolytes can stem from the combined efforts of the banana's bioavailable potassium and abundant amino acids. If you’re in need of digestive assistance, bananas may be able to help. If you suffer from a hyperactive colon and small intestinal tract, this natural antispasmodic can aid in offering relief as well. Once you learn just how amazing the orange is, you will begin to celebrate each time you get the chance to snack on this miraculous fruit. The high level of flavonoids and limonoids found in oranges and their fellow citrus, the tangerine, help to ignite the coenzyme glutathione, which is abundant in these two fruits. Oranges and tangerines will be a vital piece of battling the global chronic illness issue thanks in part to this particularly powerful connection between the flavonoids and limonoids and the glutathione. To learn more about these fruits and many more of the top healing foods available to us, check out my book Life-Changing Foods. Mix the strawberries, blueberries, kiwi, and banana in a bowl together. Squeeze the juice of the orange or tangerine over the fruit and gently mix. Serve immediately and sprinkle with fresh basil or mint if desired. Eat, smile, and enjoy! Skip the store bought popsicles laden with processed ingredients like refined sugar, preservatives and colors, and instead make these wonderful homemade treats. 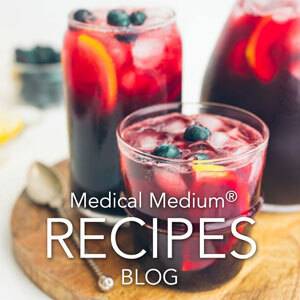 The recipe I am sharing with you today takes about five minutes to make (plus freezing time) and is jam packed with incredible healing nutrients. Not to mention how absolutely delicious it is! Wild blueberries are the star ingredient of this recipe, giving you a phenomenal amount of vitamins, minerals and antioxidants in sweet little packaging. Add the anti-viral and anti-fungal power of the raw honey and coconut and you have a treat that packs serious nutritional punch. 1. Mix the wild blueberries and raw honey in a bowl together. (You can also pulse them in a blender, if desired). 2. Assemble the popsicles by alternating a little scoop of the coconut yogurt with a little scoop of the wild blueberry mixture into each popsicle mold, repeating as desired until you’ve reached the top. Swirl gently with a spoon to give the popsicles a slightly mixed effect. 3. Add popsicle sticks and/or lids and freeze overnight.